A contentious Championship Sunday in the NFL has set up a Super Bowl that nobody saw coming and that few people may be wanting to watch. Ticket sales are reportedly sagging, Saints fans are still crying and the Kansas City Chiefs defense is still trying to figure out how to not “rough” a passer. The Jabronis will try to make sense of it all and harken back to the olden days of what seemed to be consistently bad Super Bowls as we prep for next week’s title game. 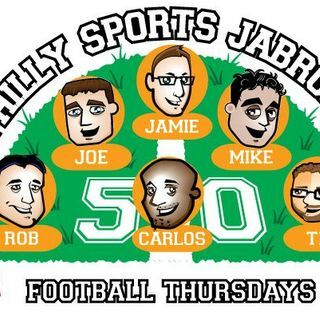 Plus, we will probably dabble ... See More into some Sixers and Phillies talk – and give our congrats to Roy Halladay.